SACRAMENTO, Calif. (CN) – An eclectic group of plaintiffs of all political stripes want to renovate California’s political system, which they say is burdened by an “oligarchic” state government shaped by exponential population growth and an influx of corporate money in local elections. “Reform has to come from the people, it’s not going to come from the government,” said Gary Zerman, plaintiffs’ attorney. The basis for the lawsuit comes from California’s decision in 1862 to cap the number of assembly members at 80 and state senators at 40. The plaintiffs, who mostly hail from rural Northern California counties, say the arbitrary cap has made it impossible for the current Legislature to represent the interests of the nation’s most populous state as it’s grown over the decades. Baird says the State of Jefferson group has submitted numerous petitions and thousands of calls to state lawmakers without response. After years of being stonewalled, he says the group decided to recruit other plaintiffs and demand more representation in Sacramento. 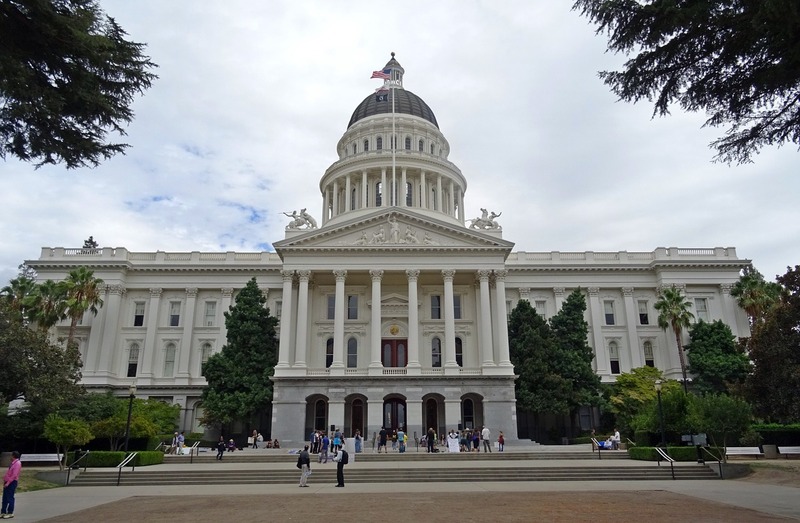 While the filing doesn’t explicitly lay out a plan for adding new districts or give a desired total, the plaintiffs hope to achieve a ratio of approximately 30,000 residents per assembly member. The figure would drop California well below the national average of 59,000 residents per representative, according to 2010 census data. If successful, the change would add more than 1,200 members to California’s lower statehouse. In comparison, New Hampshire has the most state representatives with 400 and Pennsylvania is second with 203. The plaintiffs claim that campaigning in state elections has become impossible without a deep war chest because voting districts have become so spread out. The state’s First Senate District encompasses more than 27,000 square miles – larger than West Virginia – and parts of 11 Northern California counties. According to the federal lawsuit filed Monday, smaller districts would prevent incumbents from dominating state elections and permit more women, minorities and third parties to compete. “It would be very hard to bribe a person whose local community elected him. They would smell a rat and get rid of the guy,” Baird said. Gov. Jerry Brown’s office declined to comment on the lawsuit. The diverse coalition is constructed of political parties, county supervisors and sheriffs, an unrecognized Native American tribe and a local municipality. Baird says assembling the strange bedfellows was easy because they have all been ignored and marginalized by the state’s 120-member Legislature. They want a panel of three judges to issue a preliminary injunction establishing legislative districts according to a plan to be submitted by the plaintiffs. Their proposal would include the creation of at least one Native American-majority district. Co-plaintiffs the California Libertarian Party and the Marin County Green Party did not return interview requests regarding their participation in the matter. On the surface, adding hundreds of new state lawmakers seems to fly in the face of many of the plaintiffs’ small-government ideals. But the lawsuit also calls for a moratorium on the hiring of legislative staff members – and the loss of staff could force lawmakers to be more involved in governing, Zerman claims. “Most Americans are becoming tourists in their own country and have taken a permanent vacation from their civic duty,” Zerman said.